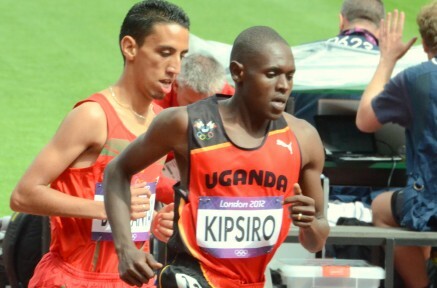 Moses Kipsiro (Uganda) took his first major senior title in the 5000m on the final day of the All-Africa Games in Algeria. The 20 year old won the sprint to the tape in a time of 13:12.51, only a tenth of a second ahead of Kenyan Kiprono Menjo with the Ethiopian pair of Tariku Bekele and Abraham Fekele in 3rd and 4th. This is the 3rd track victory of the summer for Kipsiro after his 3000m wins in the Cork City Sports and Paris Golden League meetings. In her first senior Championship 18 year old Veronica Nyaruai (KEN) took the silver medal in the 1500m behind Ethiopian favourite Geleta Burka. World Junior Champion Nyaruai posted a time of 4:09.11 to snath the silver medal ahead of the experienced Namabian Agnes Samaria. Earlier in the week Kenyan Champion Justus Koech (KEN) won the 800m bronze medal behind surprise winner Abubakar Saki (SUD) and Mbulaeni Mulaudzi (RSA). Abraham Chepkirwok (UGA) placed 5th. Boniface Kiprop (UGA) continued his return from injury with a 5th place finish in the men’s 10,000m while Carolyne Chepkwony (KEN) and Mercy Njoroge (KEN) also placed 5th in the 800m and 3000mSC respectively.